What will be the lasting impact of Apple's iPad? 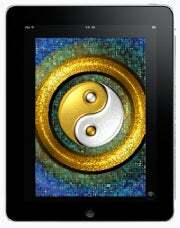 Some argue the iPad will do for tablet computing what Apple's iPod did for digital music and MP3 players. Is this a good or bad thing? Apple's big reveal Thursday, complete with independent iPad reviews and the debut of thousands of iPad apps, has only fueled the sport of Apple musing on this topic. Here's a look at just a few of the points of view when it comes to how the iPad could impact our digital landscape. It's all about your fingers with the iPad. No more right clicks or keyboard shortcuts. If you want to make something larger, or follow a hyperlink all you do is touch. While this is not a new concept, the iPad's touch-based interfaced could be the first tablet device that gains widespread adoption and therefore make touch-based navigation mainstream. In fact, the iPad may just be the beginning of computer manufacturers creating devices that are manipulated by more natural, touch-based means. One problem that hasn't been solved for touch devices, however, is the absences of a physical keyboard. The physical QWERTY keyboard is still the best way to create large blocks of text, and the iPad's virtual keyboard doesn't look like a viable alternative for physical keys at the moment. Adobe Flash is still the dominant way to deliver video on the Web, but the future may very well be the coming HTML 5 video standard. Apple already has a list of Websites that will be iPad-ready at launch meaning all the video on those sites will be in HTML 5 format for iPad users. I'm not sure how much influence Apple had in getting these sites to switch to HTML 5, but I'm guessing Apple made at least a few calls to make this happen. The New York Times, for example, was using Flash on its site as early as January when Apple introduced the iPad. Now Apple claims the site is iPad-ready, but when I checked NYTimes.com on my iPhone this morning the site was not displaying HTML 5 video. I suppose it's possible the Times has decided to snub the iPhone and only iPad users will see the HTML 5 version of its site. But I sure hope not. It's not clear how much users will be willing to pay for iPad apps, but developers and content creators are hoping iPad applications will turn into a digital goldmine. A number of paid iPad apps are hovering around $5 or more, which is significantly higher than the $0.99-$1.99 average for paid iPhone apps. There's also an emphasis on in app purchases and subscriptions models that could pay off thanks to the iPad's bigger screen. Prominent paid iPad apps include the Marvel Comics reader, The Wall Street Journal, Netflix, MLB at Bat 2010 for iPad, a new version of Scrabble, iBooks, Apple's iWork suite and more. The publishing industry is hoping that people will be willing to pay for content again if it's delivered in a more appealing digital format like an iPad app. The strength the iPad has is its larger screen making it easier to fit digital content in a similar way to a printed page, but the iPad also has the enhancement of digital features like embedded video and links. Time magazine is already experimenting with its new iPad app where each new weekly digital issue will cost $4.99. Conde Nast is launching several iPad apps, and comic books should take on a new life on the iPad's 9.7-inch diagonal screen. The great advantage of smartphones as Internet devices is that they never really turn off. Just hit the wake button or tap the screen, and you have access to the Web, e-mail, phone and downloaded mobile applications. With the iPad's larger size and similar functionality to the iPhone, people might be tempted to leave the laptop at home, and instead bring along Apple's new tablet for short business trips, presentations or holidays. For simple functions the iPad has everything a laptop does, but you don't have to wait for it to power up and it's far more portable. When Google's Chrome OS netbooks come out later this year these devices will have a faster start up time compared to other laptops. But Chrome OS netbooks will still have the clamshell form factor, which may not be as attractive as the single panel tablet. The down side of usable applications and more interactive features could mean the end of free content online. Paywalls were already in the works for The New York Times and News Corp. sites, so maybe this will be extended to other parts of the Web as well. If a content producer can get a few bucks for every app download, why bother with free content through a browser at all? Device-specific applications may be great, but if apps become the norm then what happens to the Internet? Are we headed for a world of app-based devices where the browser becomes less important or even obsolete? What will that do to the interconnected World Wide Web we have now? It's way too early to declare the browser dead, but let's face it: applications do a far better job of providing content on your mobile device than the Web does. Of course there are also Web applications, which are basically Websites designed to behave like applications. I even have a few Web app links on my iPhone--Wolfram Alpha and Google Buzz--but I find these apps take an eternity to get ready, because the app has to launch Safari, open a new tab and then download and display the content. In my experience, applications are much faster at delivering content, and provide a far more complete experience. If you've had the same experience as me, then you have to wonder if apps just might be the future, especially if touch-based devices supplant traditional desktop and laptop PCs. Ever since it launched in 2007, the iPhone has been the coolest device around, and every new and interesting mobile application always landed in the iPhone App Store first. Google started to change this with launching interesting apps like Google Goggles first for Android devices, but the iPad might take the biggest bite out of the iPhone's cool. The App Store used to be ours fellow iPhone owners, but now it looks like the iPad has displaced us with a list of cool new iPad-only apps like the Netflix streaming app, an ABC TV video player and the Yahoo Entertainment app. To make matters worse the Scrabble for iPad app has a companion iPhone application called Scrabble Tile Rack that turns your iPhone into a letter holder for the iPad version of the game. That's right iPhone owners, it has come to this: your iPhone is now an iPad accessory. Oh, how low we've sunk.